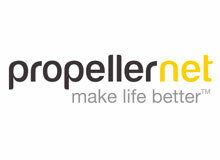 Propellernet is a search marketing and social media agency. We live in a knowledge economy. To lead with freedom and enable your colleagues to think freely, express their opinions, ask insightful questions and explore ideas in a supportive environment is the key to driving impactful business results in this kind of economy. Inspiring from the front, setting stretching goals, in hand with encouraging your teams to have the freedom to reach them, is possibly the most powerful style of leadership we can employ. We can feel the impact of being a freedom-centered company through our award-winning work, game changing client results, industry-beating staff retention, recognition of operational innovation and year-on-year growth. And it's immensely enjoyable and rewarding to lead in this way. Why wouldn't you?